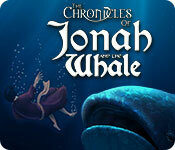 The Chronicles of Jonah and the Whale is rated 3.1 out of 5 by 21. Rated 5 out of 5 by merryann38 from Thank you, thank you! Fun game. I enjoy match games, but I'd love to see better themes like this in hidden object, too!! 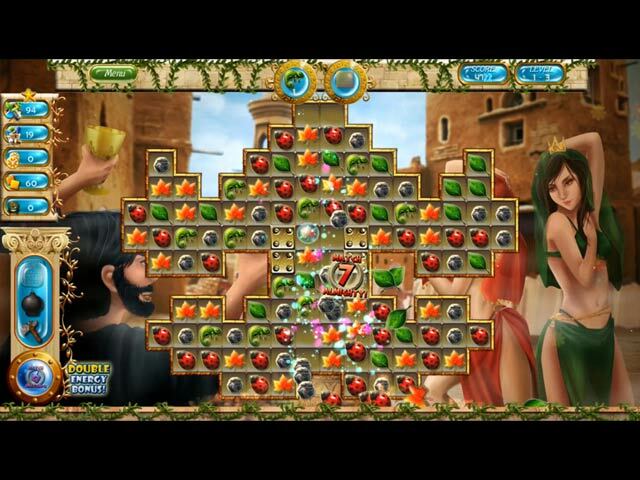 Rated 5 out of 5 by katnap1 from Loved this game - could we have more like this please! It's such a change from the ghosts, demons, story lines of evil etc. I had no problems with the graphics. I really enjoyed this game. Rated 5 out of 5 by shripch from More more more, please! 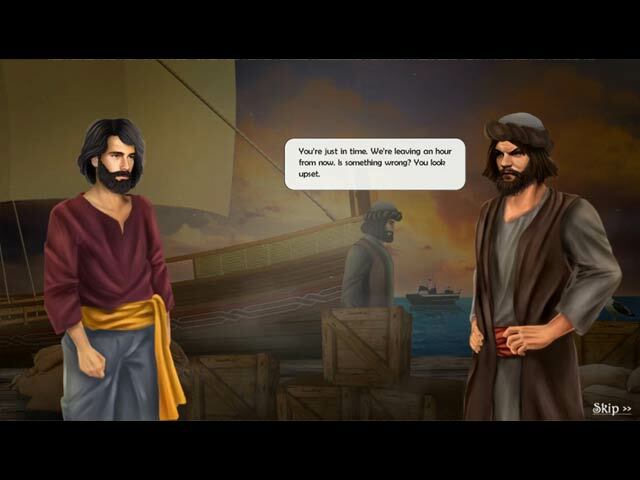 I was so pleased to see a biblically themed game! And Jonah is one of my favorite characters from the bible. He's just so much like the rest of us, stubborn when it comes to doing what's necessary, running away to somewhere "better" than his assignment! Been there, done that. LOL The game itself is fun, relaxing, and just a classic match three with some power ups. I love the cute little spiders expressions when you whack them! Yes, it would be great for children, but some of us older players appreciate relaxing games with a built in message too. Thanks for a great change from all the dark and gloomy games out there, and for taking a chance on something different. Rated 5 out of 5 by JeansLady1 from Something from the "flip side" When I saw the title of the game, I thought there would probably be some objections; but I enjoyed it and will purchase it. I have other games from BF in this vein. 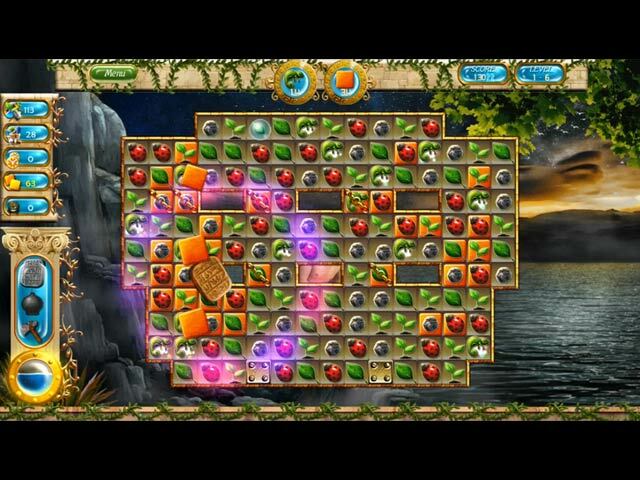 There is an abundance of games dealing with voodoo, black magic, the gods of Egypt, etc. So, it's kind of nice to have a representation from the "flip side" of that type of game. I've seen some games here that I thought were too violent, so I just bypass them and do not purchase. I appreciate the variety of the games at BF. I didn't find any difficulty with the graphics - I play in windowed mode. I like some of the features here that you don't find in a lot of other M3 games - mainly being able to click on an item to make it whatever you want it to be so you can more easily make a match. This is the kind of game that I enjoy while unwinding from a day at work. Rated 5 out of 5 by XFreak from Like an Oasis in the desert ! I really love this game, i gave this game 5 stars, im not talkin about graphic or gameplay mechanics. i really love this theme, i cant find another biblical based games for years, since The Chronicles of Noah' s Ark, so i THANK to big fish games for this beautiful gem. Rated 4 out of 5 by MrsBen from JONAH AND THE WHALE CAUGHT MY ATTENTION IMMEDIATELY! I am not much of a fan of Match 3 games, but the title made me try it. As you conquer levels, you move the story along. It truly is the story of Jonah denying God and then trusting and obeying him. This is a simple, enjoyable game without a lot of fuss. There are 3 tools you earn to help you along and each level has a specified list of items you collect. You are asked if you want to play Relaxed Mode at the beginning of the game. I know the subject of the game might be off-putting to a few people, but I was thrilled to see it! It would be very good for children to play. The narration is from the Scriptures, but worded well for them to understand. The graphics are well done and colorful. I haven't finished the demo, yet, but I think I will buy it with a Punch Card Credit. Rated 3 out of 5 by Gloryaya from Swallowed by a Whale... A 'whale of a problem'. This WONDERFUL game would not run on my Windows 10 pc. :( I've waited YEARS for a cool game to come out about the Bible and God and those wonderful stories from the greatest book ever written. They are full of adventures with supernatural happening and in the end, the Hero, GOD, always wins. Sure wish you could fix this 'bug' so I could enjoy this fabulous game with my grandchildren. Thank you, one of the many Big Fish Gaming Grannies <3 Gloria W.
Rated 3 out of 5 by Cornishwizard from Poor graphics spoilt this game I am not sure what caused the somewhat fuzziness of the graphics. I am using Windows 10 and there was an actual warning that if Windows 10 was being used then click onto the alternative windows setting that the game provided. At first, I ignored this and got a blank screen, Restarted and clicked the alternative and the game started. At first the graphics where OK but then at the second level they got, well if not fuzzy, blurred and as I already wear specs, I thought enough is enough. This is a pity because the game looked reasonably interesting but as another game player mentioned the play area of the screen was too small. Increase the game play area, remove the blurry/fuzzy graphics and I'll give it another try, but as it is, sorry guys but this game is not for me. Rated 3 out of 5 by calabashbb from Jonah God will find you. Very pleased to see someone develop a game with a religious story. Played the full demo, The items and colors were confusing on the gameboard and I'm sure that was the intent, however, vision issues made it irritating. Thanks for the chance to play a game that was refreshing.